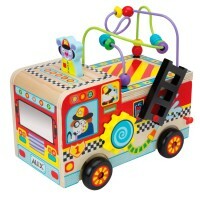 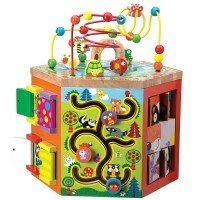 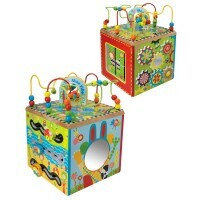 Alex Toys play cube for toddlers now comes as a fun activity barn with 6 sides of manipulative activities! 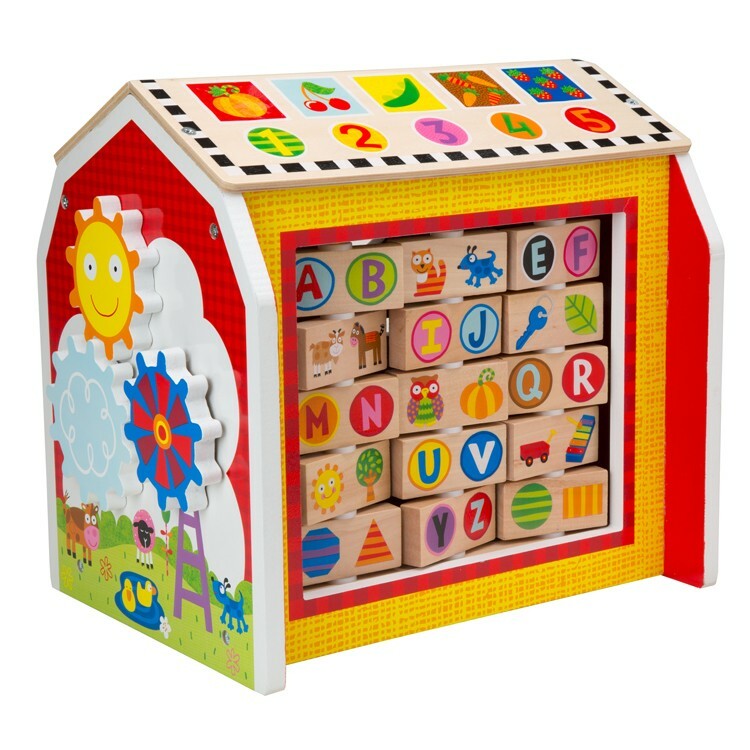 Alex Toys came up with a unique design solution for classic activity cube - it's a barn with 6 sides of manipulative fun! 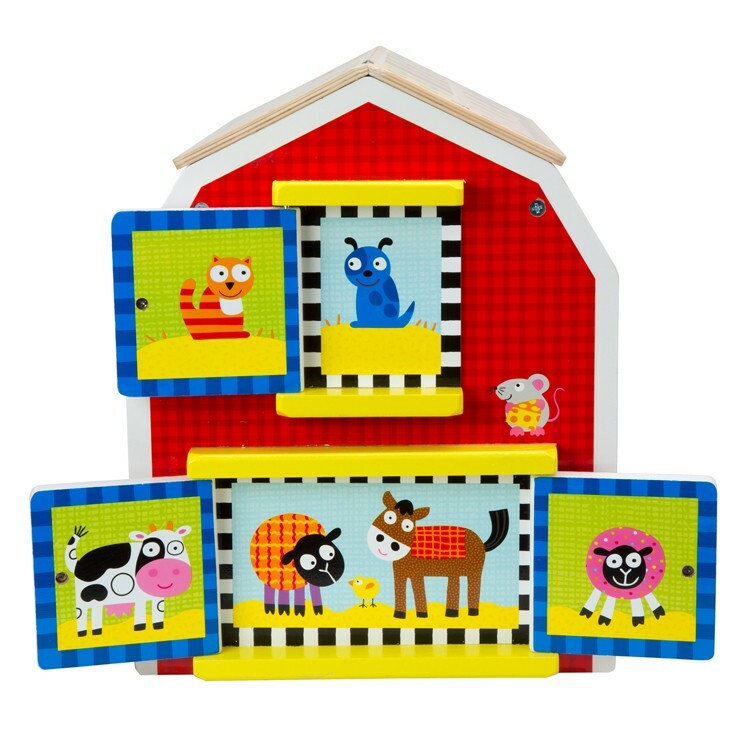 My Busy Barn Toddler Activity Center is sure to become your toddler's favorite play center with its bright colors, engaging features, and multiple activities. 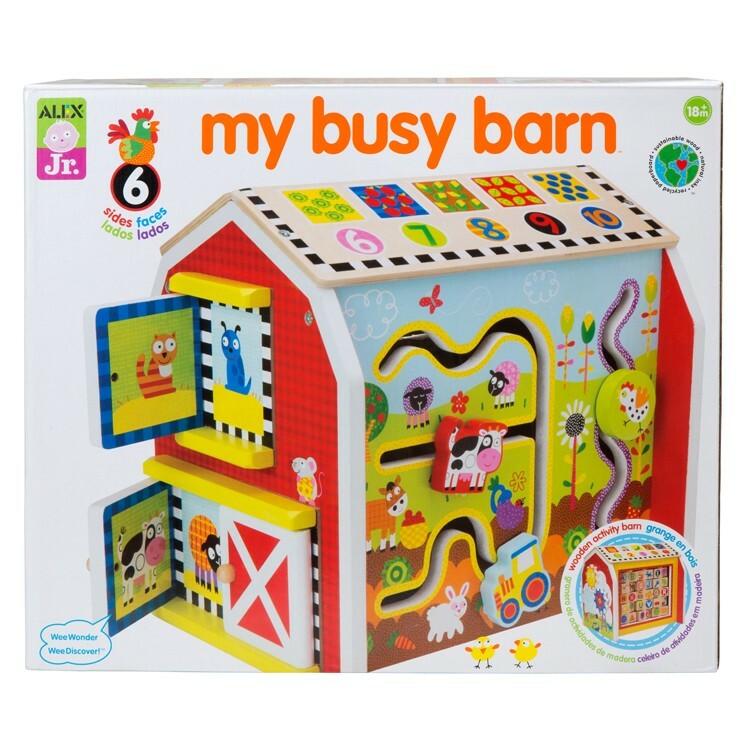 My Busy Barn Toddler Activity Center features peek-a-boo barn doors, alphabet abacus style tiles, spinning gears, silly sliders, counting art roof. 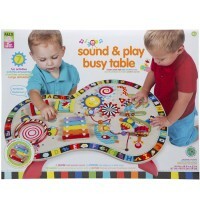 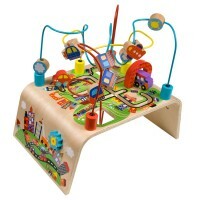 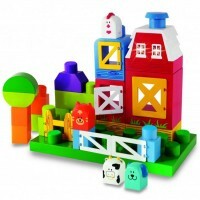 This farm themed activity toy is a terrific addition to your home playroom, daycare center, or pediatric waiting room. 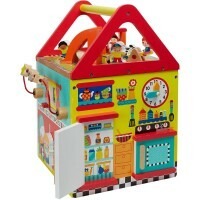 This wooden barn activity center measures 12.25 x 9.5 x 12.75 inches. 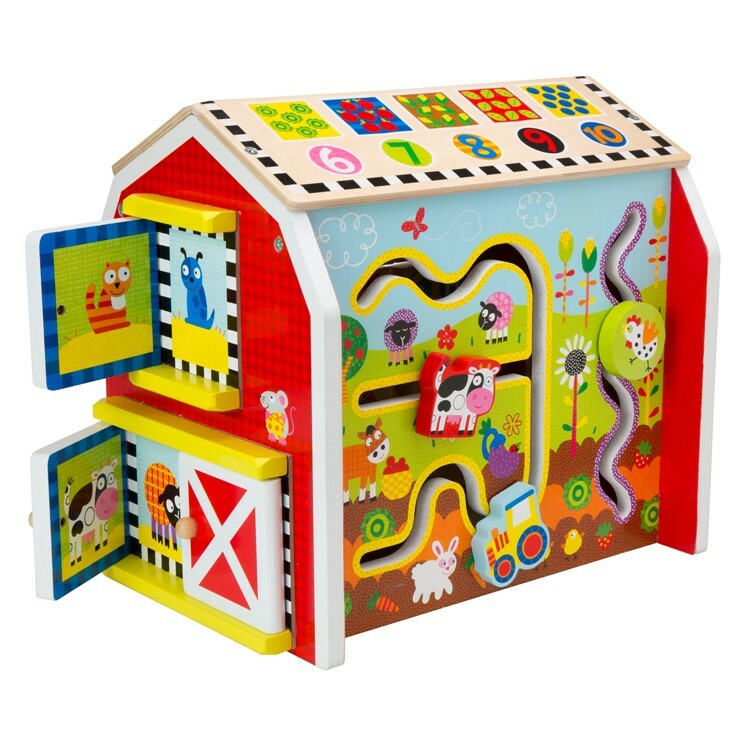 Dimensions of package 10.25" x 15" x 12.75"
Write your own review of My Busy Barn Toddler Activity Center.